The choice to cast an all-female ensemble, in a reversal of the Shakespearean norm, is a perfect touch. Music, lighting, dance, and inventive staging combine with a wise script, a unique aesthetic, and powerful acting to create the ultimate "total work of art." Ashfield Community Theater’s staging, directed by Toby Bercovici—an MFA graduate of UMass—was terrifically clean and clear. 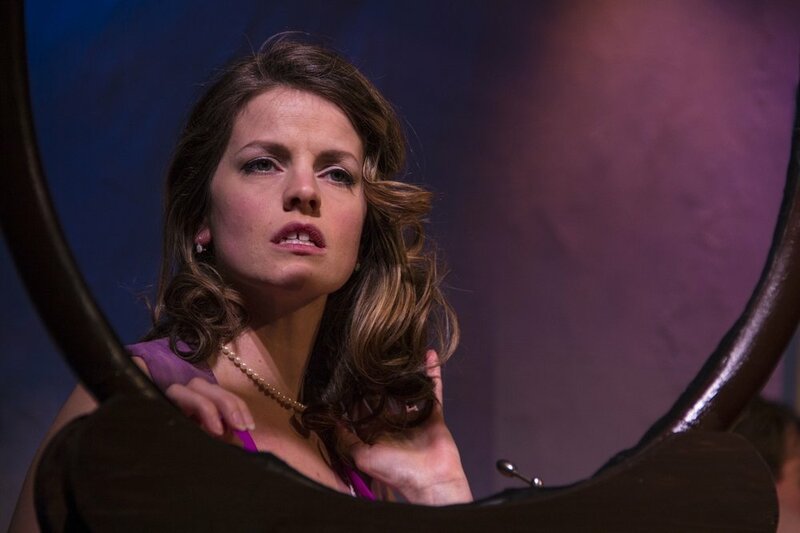 Every member of her large cast stood out in relief within the ensemble, with Myka Plunkett, as Maggie, playing every note in that desperate woman’s range. It’s a big, boisterous play with a large cast (I count 16 named roles plus extras) and a lot on its mind. It’s being performed, miraculously, in the summer’s smallest venue with a cast of eight and no set. The fact that it works, and works splendidly, is due largely to director Toby Vera Bercovici’s inspired use of the space and playful interaction with the material – shades of S&Co’s Henry V on a much smaller budget. The venue, Cinema 2 at Cinemapolis, is perfect for this minimalist play. The only set pieces, other than a black curtain backdrop that covers the cinema screen, are a couple of chairs and a stack of books that double as other objects ― coffee cups, plates of pancakes. And the actors need no more. Bercovici moves them around beautifully. I found myself thinking more than once how perfect a show this is for a Fringe festival, where everything is low-budget, and how thoughtful the director and actors were to have walked into this space for only the second time and so completely made it work for them. Eleven bodies, the full cast, lie on the floor, strewn about in positions that suggest their deaths were violent. Suddenly the silence is shattered by a raspy sucking of air that bespeaks emotional pain of unfathomable depth. ... This master class in movement is choreographed to the millisecond. The audience is primed for King Lear. 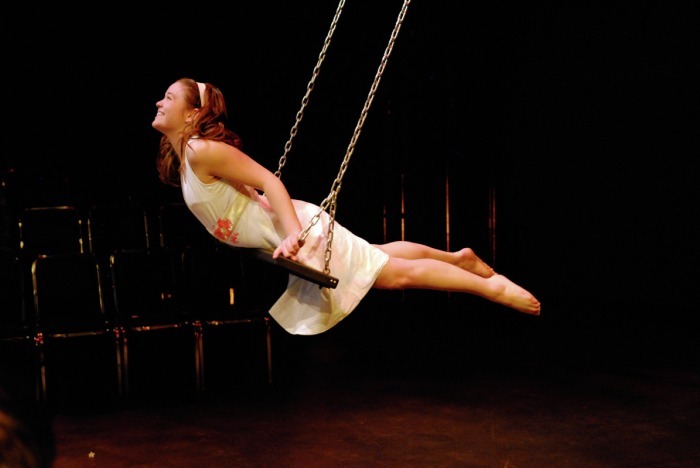 Bercovici and Camera's production challenged the sexuality-driven reading of Wedekind's play. The audience was confronted with palpable desire. Usually, the desire is sexual; here, however, it was the desire to ease the tension between progress and regression. The audience ultimately left the theatre both with a sense of childlike wonder and with the burden of adult responsibility re-instilled. Stripping a production down reveals all its vulnerabilities. The beauty of this approach is that if the work is strong, its assets will make up for any money-gobbling features like scenery, effects, and venue. The Looking Glass Theatre’s off-off-Broadway production of Spring Awakening: A Sin of Omission is one of those productions that shines when nothing much more than writing and acting is on the table. Toby Bercovici is an enormously talented director, who has been responsible for some of the most stimulating moments of my theatre-going life... I consider myself incredibly fortunate to have landed on this planet in the right time and place to see her work, which brilliantly does what I think all theatre should do: gives you an experience you just couldn’t have any other way.